We win again! Lovestruck bags the biggy @UKDatingAwards! SINGLES wondering which dating site to join this busy festive season should set their sights (and hearts) on Lovestruck. Why? Because we only went and SCOOPED THE BIGGY at the UK Dating Awards – Online Dating Brand 2015! We also bagged Highly Commended Awards for Safer Dating, Dating Events Brand of the Year and Best Customer Service so we’re kinda feeling Christmas has come early. The UK Dating Awards, held at the Honourable Artillery Company in London, were founded by 30 Dates blogger Charly Lester to celebrate and recognise expertise and excellence within the dating industry – they’re sort of like the dating Oscars. This year the competition was tougher as we battled it out with some big industry names: Match.com, eHarmony and Guardian Soulmates to name a few. But we kept the Champagne flutes topped up and the Lovestruck faith in our hearts and it all came good. So the Lovestruck mantelpiece is now groaning beneath the weight of all these trophies leaving no room for any festive tinsel but seriously, we hope these awards reaffirm the fact that you’re in the very safe and capable hands of a dating site that is committed to making love your end goal. This award was the biggy and we were up against some some impressive names in the industry too – Match.com and Guardian Soulmates. The panel of judges were looking for a number of factors, online dating sites with an app, membership size, site design, reputation, safety, customer service, ‘clever matching’ and ‘date discovery’ all of which we work rather hard to perfect. 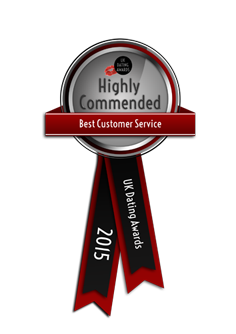 This award confirmed we offer our members the whole darn package. Our singles parties are talk of the town so we were chuffed that they caught the attention of the judges too. We ‘ghost-host’ regular ‘laissez-faire’ drinks nights in London, Hong Kong and Singapore with Comedy Quiz nights bowling nights to really bowl ‘em over too. The odds of meeting someone are strongly in your favour. There’s no rules, nametags or cringe – just flirting fun n’ frolics. FREE to enter, you can bring ya mates too. Coming to our Xmas special ? This award recognised those all important safety initiatives, services and the products a dating site puts in place to better protect members from scammers, whilst also encouraging them to be safe when dating. Our profile verification service works hard to ensure members are local, professional and are just who they say they. And finally, a heart-felt message to all our loyal and rather gorgeous ‘Struckers. You’ve supported us more rigidly than a whale bone corset. We couldn’t do it without you and we hope we’ve made you proud. We love how you keep us posted with your love lives, and get all emotional when you return to thank us for meeting the love of your life, getting engaged, getting married or having a baby. Cross our hearts we promise to keep up the love ‘making’ in 2016.